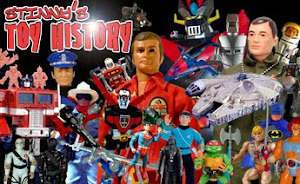 Stinny's Toy & Action Figure News Network: BACK AGAIN! This was my fear in coming back earlier this year. My life is hectic and jam packed with work and family and friends-- also I just moved from one house to another--, so I knew that my time in posting here on the blog would be limited, but I wanted to give it a try again. I'm certainly not bailing out on it, but posting daily isn't always easy, so forgive me if you stop by here and don't see an update yet, but just know that it's coming! Speaking of which, I'm about to do a bunch of new posts right this minute!